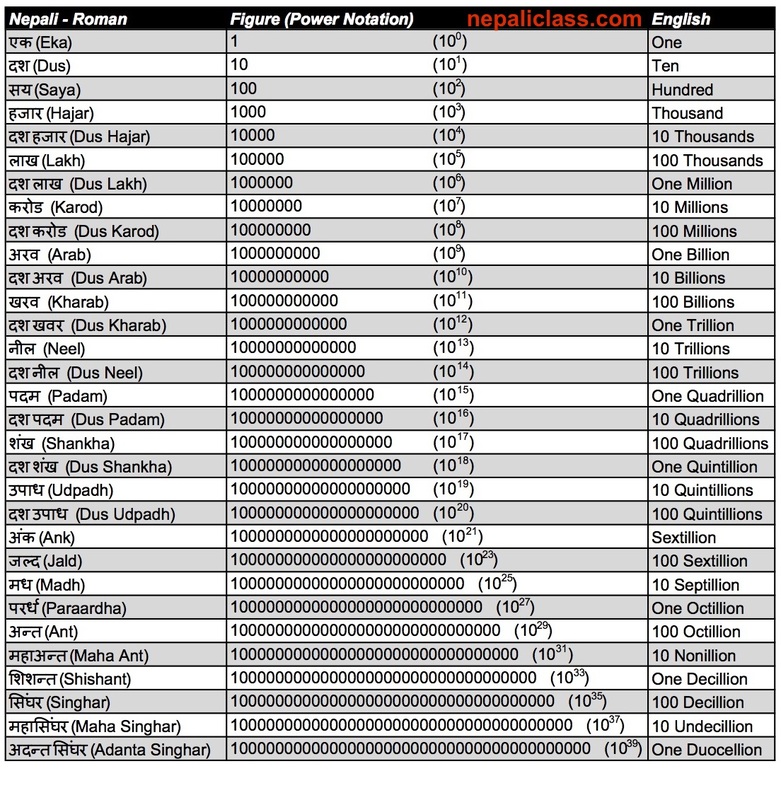 The numbering system used in Nepal is based in an ancient numbering system. In this system, big numbers are grouped in a two digit numbering system. In other parts of the world they are grouped in three digit numbering system. For up to 10,000 they are similar but, there is no 100,000 in Nepal. It is written in the form 1,00,000 and is called one lakh. This is the similar numbering system in India and Pakistan.